I've seen some critics besides myself complain that Clean Room has been taking too much time in building its tension. While slow-boiling thrillers are an acquired taste (personally, I love them) and I can sympathize with the annoyance of waiting three months for a resolution of issue #14's amazing cliff-hanger, I can't help but scoff at that criticism after reading Clean Room #16. Because this is the issue where everything started to pay off! I can't say much about this issue to the uninitiated. 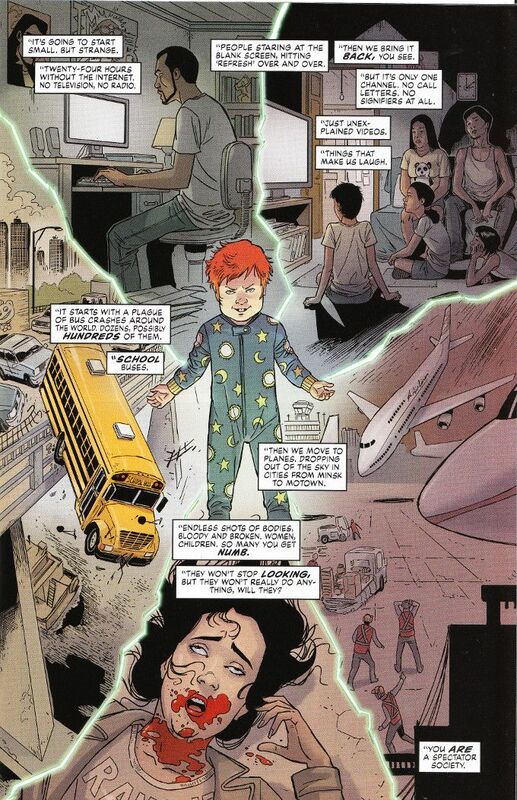 Suffice it to say the page above - in which an infant possessed by demonic forces explains their plans for humanity - is probably one of the least disturbing and least spoiler-filled in the issue. If you're a horror fan, you NEED to be reading this series!